Need to make that shower a little larger? Then our line of shower extensions is what you need. Start with our corner extension which matches seamlessly to any of our HYDRO-BLOK shower pans to custom build the shower of your dreams. 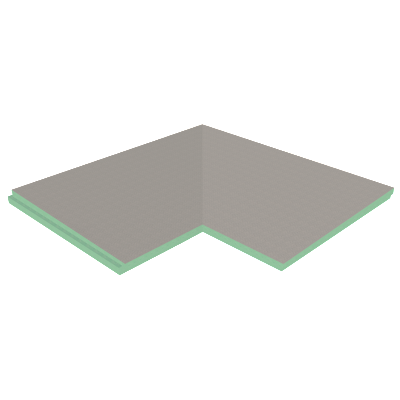 Add our HBSPE2448 24″ x 48″ Shower Pan Extension to the HYDRO-BLOK Corner Extension and you will soon realize how easy it is to continue your shower floor and maintain proper slope throughout. Built with the same high quality construction and dependability as our full line of shower pans, wallboards and accessories.